Sally Jean (Ryan) Beise, aged 95 years, of Manor House in Seaford, DE, and formerly of Walpole, MA, and Ocean City, NJ, died peacefully in her sleep on October 8, 2018. She was predeceased by her spouse, Frederick A. Beise, and is survived by five grown children (Catherine, Barbara, Susan, Andrew, and Elizabeth); six grandchildren; and four great-grandchildren. Sally spent her early years in Michigan and Maine. She earned a BA from the University of Maine and a BS and RN from Cornell University and the New York Hospital, where she served three years in the Cadet Nurse Corps. Sally served as President of the Ocean City Shuffleboard Club from 1998-2002 and wrote a regular shuffleboard column for the Ocean City Sentinel-Ledger. She represented New Jersey at the International Shuffleboard Tournament in Orange County, CA, in the 1990’s. 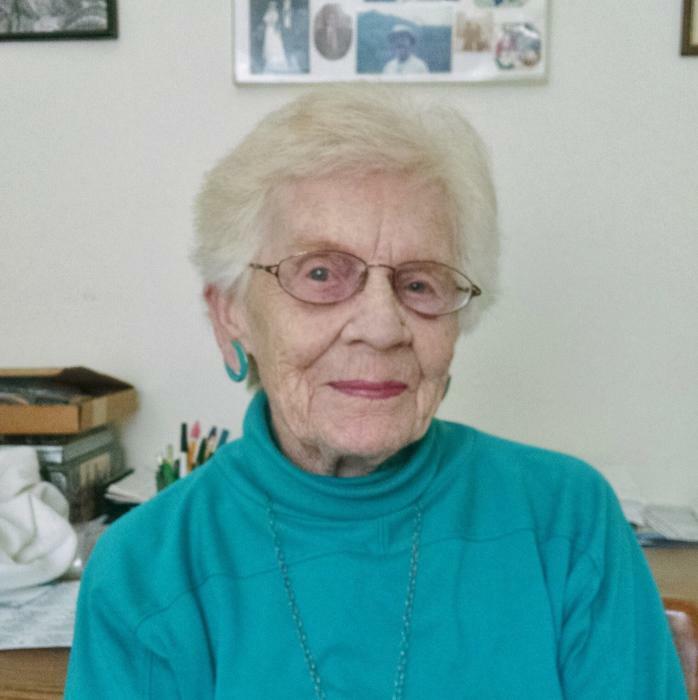 She was an active member of the Manor House community, creating craft items for the annual bazaar using her cross-stitching, sewing, knitting, crocheting, and other skills. In her later years she enjoyed Wii bowling and was one of only a few Manor House residents to score a perfect 300. Sally’s family and friends will remember fondly her friendliness, smarts, honesty, and sense of humor. In lieu of flowers, donations may be made either to the Manor House Employee Appreciation Fund (1001 Middleford Rd, Seaford, DE) or to the Animal Humane organization of your choice. A Memorial Service will be held at Manor House on Saturday, October 27, at 1:30pm.